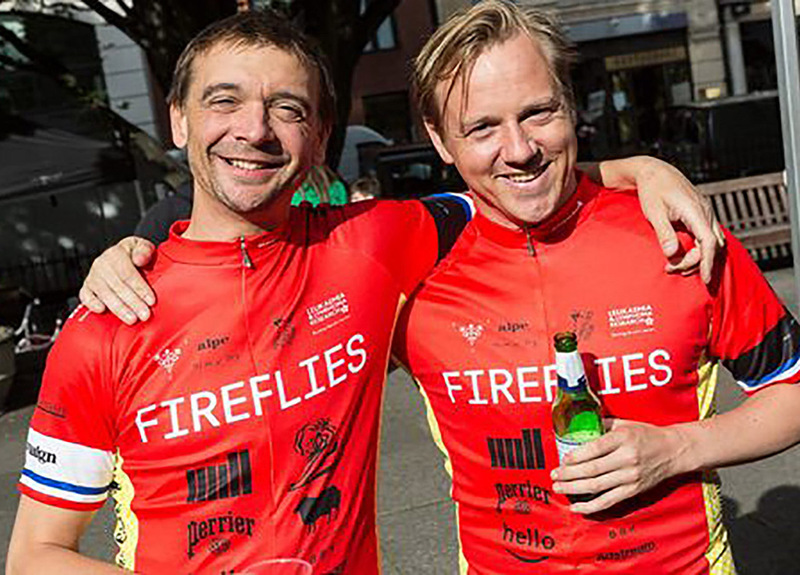 Now in it’s 14th year, the annual Fireflies Tour cycling challenge has raised over 1.4 million pounds with the help of donations made on the riders' Leukaemia & Lymphoma Research profile pages (included below), all of which has gone into Leukaemia research. 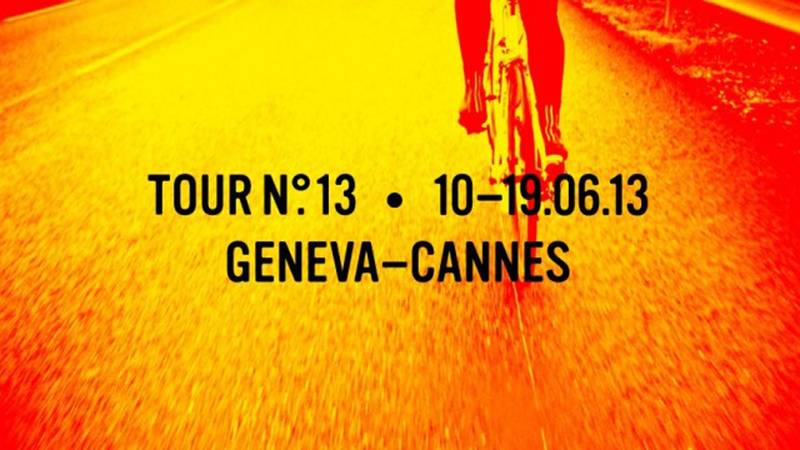 From takeoff at Lake Geneva to their descent into Cannes during the Cannes Lions Festival, we'll be following the #FirefliesTour here on our blog and on Instagram - so check back for updates! I'm Scotty! I hail from the old land, beyond the wall, the Island of Jersey. Famous for fudge and female cows. I now am master of the art of compositing, using traditional tools called Flame and Sparks. Long has it been since I've felt the sun on my back. I have cycled into this world. It is me and I am the bike. I commute that's it. Until now. Lycra has changed my life. What's your experience with The Fireflies? I'm a complete Firefly virgin so I'm hoping they will be gentle! Seriously now: I've been inspired by other Mill crew! 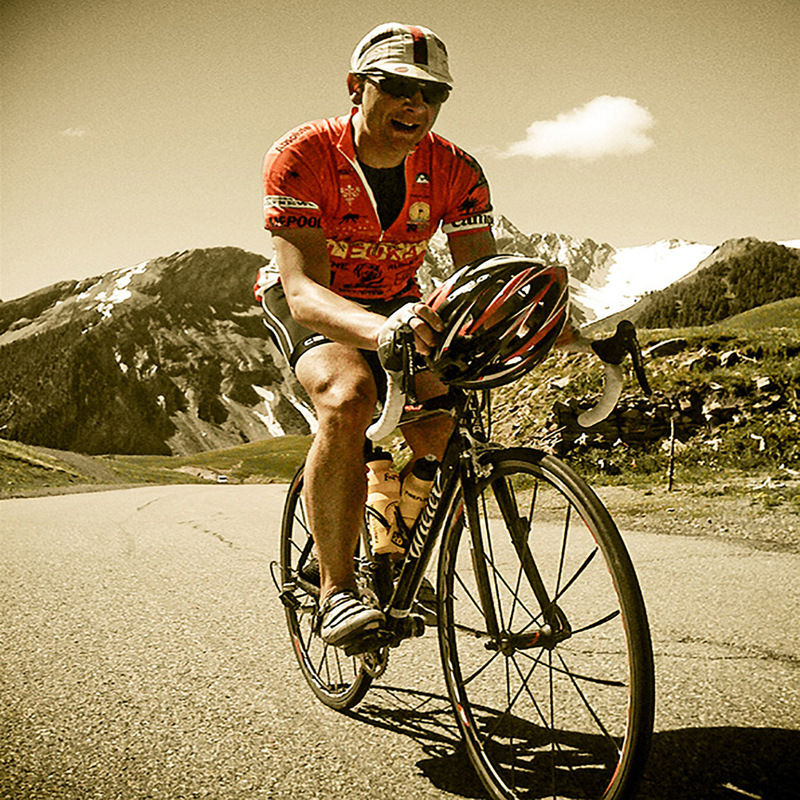 Those who have been through pain peddling up those mountains for those who have suffered! How have you prepared for the ride? Every weekend since February, I've been trekking across London to meet the crew in Richmond. From there we've toured the Surrey Hills and scoffed many a carrot cake on top of Box Hill. Gradually these climbs got easier. I've never realized how important food is! Before during and after rides! I have a supersonic bike. She is black and red and very well behaved. She's going to get me all the way! I'm mostly looking forward to conquering these beasts they call mountains! It's still an unknown as to whether 'I can fly' or not. So far everyone I've met on the tour is full of encouragement and I'm sure the team spirit will get us all up there! Follow his ride on Instagram:@chrisscott_tv and his blogCan He Fly? I started cycling because I got fed up of taking the Tube/Bus into work - I’ve never looked back. It’s a great way to wake up in the morning and a really good stress buster not to mention the obvious fitness/exercise aspects. From commuting came weekend riding and a whole new social scene opened up. Lots of like minded bike geeks riding out into the Kent countryside talking gear ratios and comparing lycra! With the Mill having had a number of previous FF riders before myself; Jeff Robins, Ben Hampshire, Ant Walsham, Giles Cheetham, it was really only a matter of time before I was tempted to pull on the FF jersey for the first time back in 2008. Why do I do it!? - This being my 5th FF tour, there’s clearly something in it I love. Maybe it’s the 10 hour days in the saddle in the searing heat, grinding up another 25km climb. 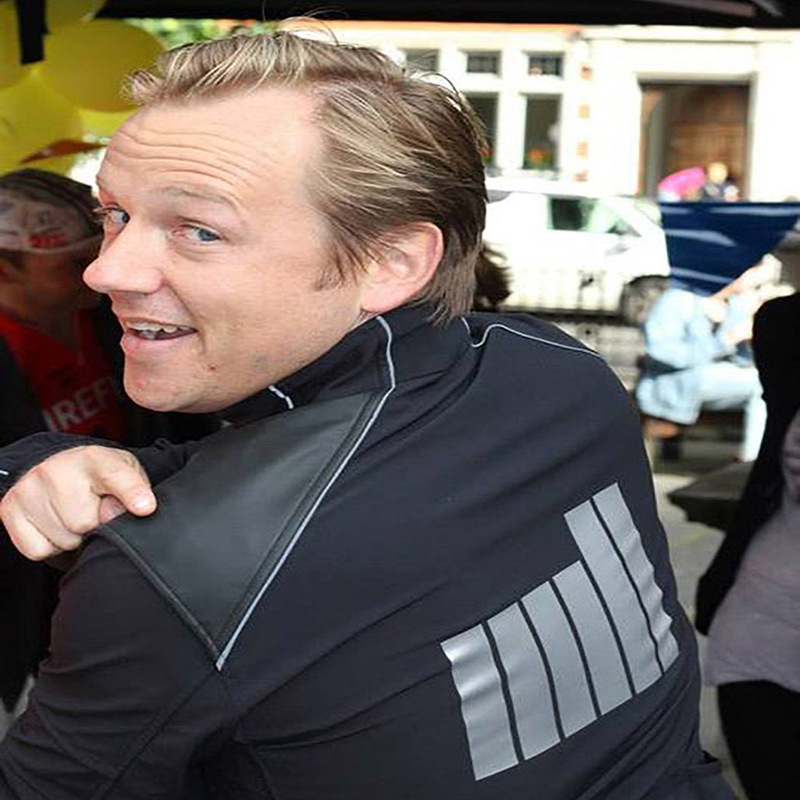 The endless energy bars, carbohydrate gels or electrolyte drinks. The 5 hours sleep a night on a stomach rammed with pasta. Well yep, it’s all that and more. It’s because of the people I do it with, the great friendships made along the way and of course, at it’s heart, the reason why we all put ourselves through it. 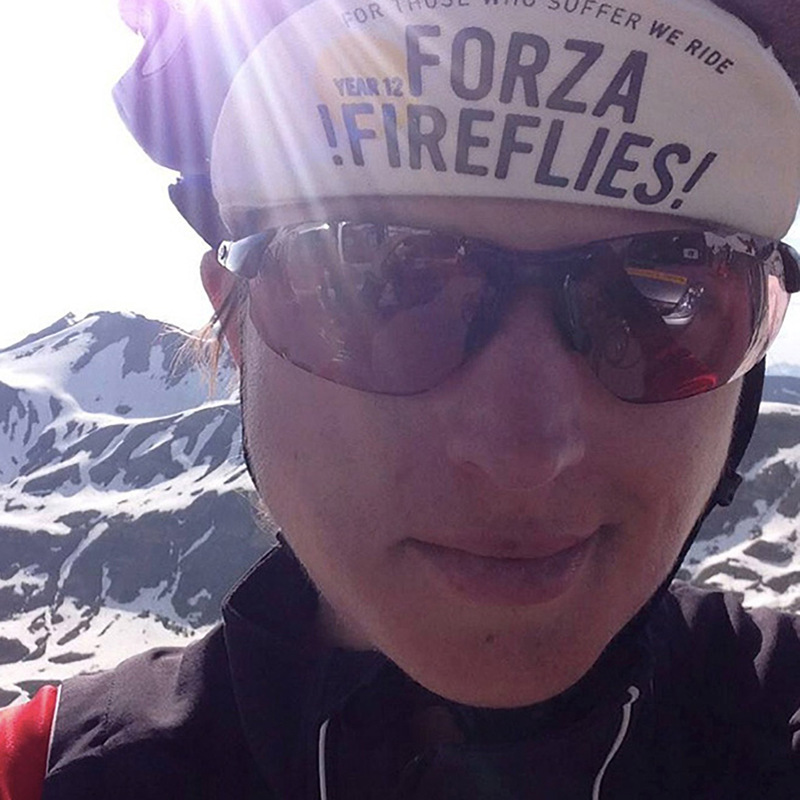 The Fireflies Ride is as every bit rewarding, exhilarating and inspiring as it is tough - It’s difficult not to do it!! 6ft, Blue eyes, Blonde hair seeks....Sorry....British, living in Brooklyn and the only Firefly representing New York in this years tour. I'm a 3D Lead and have worked at The Mill for around 6 years after starting out in London. I got in to cycling through commuting and a bit of pressure from a few strong cyclists in the London office a few years ago... I've been pretty much addicted ever since. Cycling has the social ability to pull all sorts of people together in many different settings with the Fireflies being a great example of that. This will be my third tour making me a veteran I believe (?!).... I got involved in the event originally as it combined a number of things that I had a passion for, primarily in this case the opportunity to raise money for a great cause that means something to me. I find it to be a massively humbling event where you learn so much about others, their stories and also about yourself and what you are capable of. With regards to this years training and having just moved to New York in January, I promptly had to deal with -15°C icy conditions and also US customs, who decided to hold my bikes back for inspection until late April! - This weather and the lack of bikes made training pretty tough, especially as I watched the London biased Fireflies heading out on numerous training rides and cake stops at the top of Box Hill. Eventually the weather has warmed up and I've managed to get myself to a place I'm really pleased with, although training without the other flies has been slightly strange. My bike this year is actually the first road bike I ever baught and the one that got me in to cycling so it seems rather fitting that it gets it's opportunity in the alps. I am from Boston, MA and I live in Los Angeles, CA. I am a flame artist and visual effects supervisor. I originally left Mill in NY for the snowboarding in California. I had no idea that my life here would eventually revolve around cycling. I used to commute by bike in both Boston and New York. I never intentionally rode UP a hill until I got involved with fireflies. I enjoy getting to the tops of mountains by my own power, and I love being in remote open spaces. 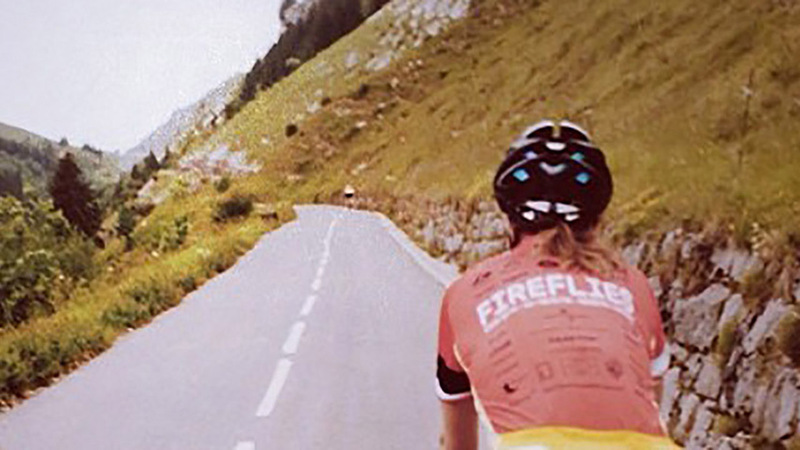 My biggest cycling achievement was completing the 2013 fireflies ride. 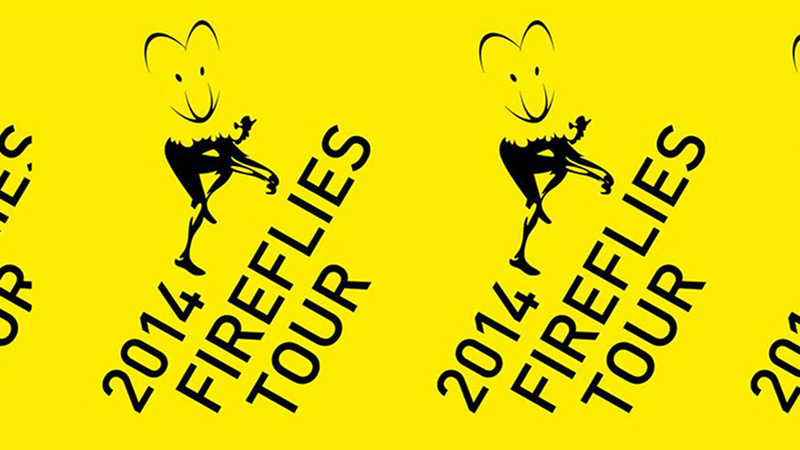 I used to ride bikes around NYC with Jeff Robins (smoke, The Mill in NY) and he told me about the Fireflies ride. I wasn't convinced to do it until I saw him arrive at The Mill after Fireflies West in 2011 and whilst still covered in muck, he said it was brilliant and I should do it too. I was inspired by his love of Fireflies and rode Fireflies West with him in 2010 and 2012. I decided to make the leap and try the European ride in 2013. I can't believe I'm back for another one. I must be mad. I've been riding 4-5 days a week since February. I went for a crazy challenge while on holiday in Maui, HI in March. I rented a bike from a local shop and rode from the ocean to the top of the Haleakala Volcano, a 37 mile, 10,000ft climb. The only truly important things in my cycling kit are legs and lungs. However, I am grateful that I have a properly fit saddle. I am most looking forward to long climbs with friends. 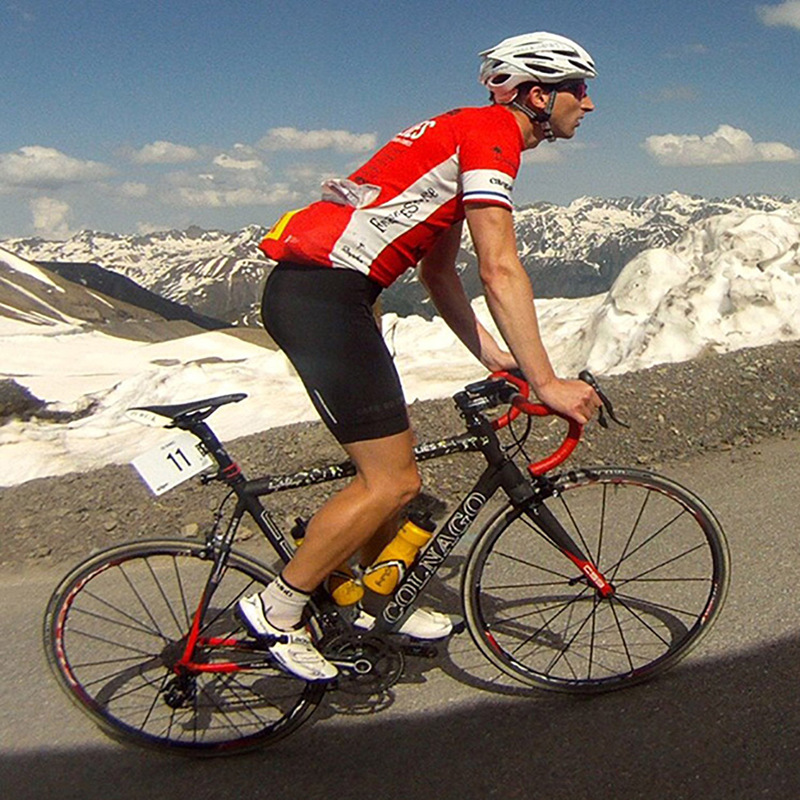 Some of those same climbs will be the most challenging part of the ride.